All espresso machines must be “DESCALED” regularly. Filtered water or bottled water is free from chemical odours but not free from minerals. Using a water softener is the best option for mineral free water. If a water softener is not installed, then the best option is to descale the machine at least every 2-months. The Descalers we recommend can be found on this website. Do not rely on the machine to remind you when descaling is due. When available, this feature is programmed by the number of espresso's served. The machine cannot sense the variable hardness of water from one part of the country to another. Follow a definite schedule for descaling every two months. Please DO NOT use vinegar or lemon juice for descaling as a residue will remain on the inside of the boiler which will be hard to get rid off and your coffee will end up with a taste of vinegar or lemon. Is the de-scale sign on your Brera still appearing, even after de-scaling the machine using the instructions? We receive telephone calls about this frequently. The reason for the sign remaining on, is because the instruction manual that you are using is the old one. You need to look for the Brera supplementary manual, which is available on our website. The supplementary manual is, normally found separate, in the box, but it is easily ignored or lost. If you have not found it, please download the manual. 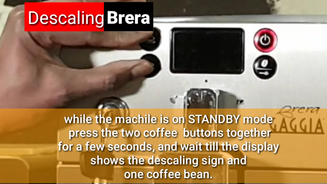 The important thing to remember is that, on the newer version of the Gaggia Brera, the machine has to be on STANDBY mode (with the standby light flashing red) when you start the descale procedure. To enter the mode, press the small and the large coffee buttons together, for about 6 seconds. If you have entered the mode correctly, the machine will come up with a flashing descale sign on the bottom left of the screen with 1 bean. Follow the steps to the letter and when you finish, the descale sign will disappear. Note : If you have already done the descaling with the descaler, you can run the procedure again with fresh water. It is important to degrease your machine regularly. This is because some parts come into contact with coffee and the oils in the coffee can build up and block the shower discs, baskets and associated parts. With traditional manual machines you can put the degreasing tablet or powder in the basket where the coffee goes and run some water to wet the tablet. Run more water every two minutes or so that it cleans the basket and shower disc etc until the tablet is fully desolved and flushed. De-greasing tablets are available to buy on our website. (Coffee and Accessories - Cleaning - Cleaning-Home Machines) Cleaning the basket with degreasing tablets is vital if you have the new perfect crema baskets as the base of these baskets have two layers - one with lots of holes and the other with one hole and therefore coffee oils can settle in-between the layers and block the basket. You should de-grease the basket every 2-3 weeks. Flushing the basket with clean water, after macking the coffee can also be useful. You can use any carrier to send your machine to us. Our address is : GAGGIA UK - Caffe Shop Ltd, Unit C, Old Power Way, Lowfields Business Park, Elland, HX5 9DE. Other removable parts PLEASE INCLUDE the brew units on automatic machines.Please include a note with your machine giving your name, address, telephone number (land-line and mobile to make it easier to contact you) and e-mail address (as a back-up) and a brief description of the problem. Tape closed any parts that open or can easily move eg. doors on automatic machines. All knobs and other parts should be secured firmly in place before wrapping in plenty/multiple layers of bubble wrap including the base of the machine. Line the base and sides of a strong box with more bubble wrap (or bubble pillows if available) before placing the bubble wrapped machine inside and fill any additional space with further bubble wrap so that the machine does not move. (Crumpled newspaper or cardboard is not suitable as this will not protect the machine if the box is knocked into, turned on it's side or turned upside-down as this will easily compress and not provide any protection. We have received a number of machines for a service that, because they were not packed with any or hardly any protective packing when sent to us, have suffered, and in some cases, very bad transit damage - dents to the body of the machine, parts broken, doors broken off, damaged hinges, broken chassis - and this could be your "pride and joy" coffee machine.) Check you have included your details within the wrapped package, if not include them now. Please write our address on the outside of the box just in case the label the courier attaches comes off. Please also write your name, address and telephone number (Email address if available) and insert it inside the box. Press the coffee button and open the steam wand to send water through the steam pipe for 6-8 seconds. Close the steam knob (while the pump is still running), this will send water through the brew head. Water should flow freely if the machine is working correctly. If the flow is poor or non-existent, then there may be a blockage (see below reasons for blockage) in your brew head valve (or solenoid valve in the pre-2015 models).Priming can be carried out as frequently as possible. In any case it is essential that you do this procedure whenever you finish steaming milk. When you finish steaming milk, the boiler is starved of fresh water, and by priming the machine you are effectively filling fresh water into the boiler and also purging any air that is in the system. 1. Blocked Basket :There are two types of baskets. The newer models have perfect crema baskets which have two layers. One layer with lots of tiny holes and bottom layer with one tiny hole. The tradition basket has only one layer and containes lots of tiny holes. If you hold it against the light you can see through them (like a mesh). Coffee oils can build up over time and block the holes. On perfect crema baskets it can settle in between the two layers and become difficult to clean. 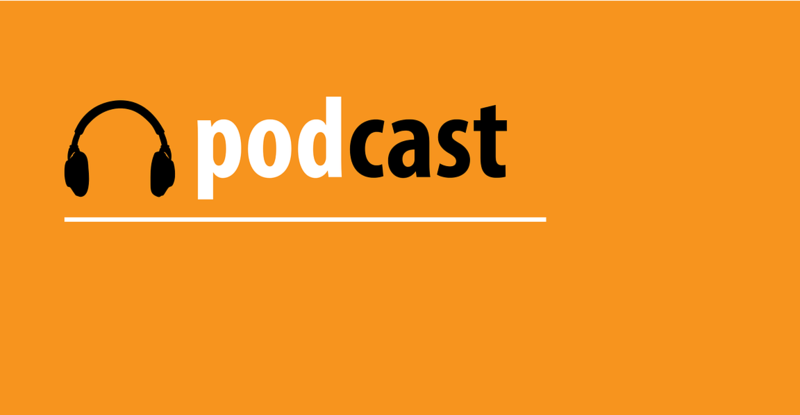 We recommend usigng a degreasing agent, eg. Puly degreasing poweder or tablets, especially on perfect crema baskets. Shower discs also get blocked with coffee oils and need degreasing, similar to the baskets. These need to be removed and degreased regularly. 4. Blocked Solenoid : On the older model of the Gaggia Classic and the other older models there are solenoid valves fitted to the boiler, inside the machine. Solenoid Valves can get blocked with scale or any debris from the water flowing through. As the valve has have narrow passages, they can easily get blocked, especially in hard water areas. Regular descaling of the machine and regular priming can improve the flow and keep the passages clear. Resolution Priming Automatic Machines : Most Automatic machines have circuit priming and rinsing cycles built into the program. As the machine starts, the program will force the machine to carry out a priming (water circuit priming funtion). If this is not shown in the program, you can prime the machine, usually by turning the knob or pressing the button to open the steam pipe to run some water. Please check whether you have a water filter fitted in the tank. If so, remove the filter before attempting to manually prime the machine. If you are unable to prime the machine using the normal method, you can go into a TEST MODE to pump water manually. 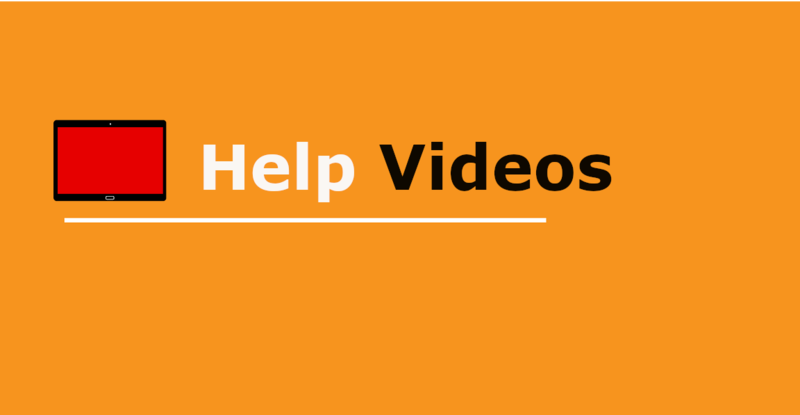 See help videos relating to you model for Test or Diagnostic Modes. Quick Set UpAlways read your instruction manual. The following is only a quick set up guide, if you are familiar with the operation of Espresso Machines. Switch the steam button on, for steaming milk. Release remaining steam through steam wand purge water through steam arm by pressing the coffee button while the steam wand is still open. Then close steam knob and run water through brew head. You are now ready for the next coffee. DE-SCALING MANUAL COFFEE MACHINESPuly Descaling Powder or Gaggia Liquid Descaler are recommended.DO NOT USE ANY DESCALER THAT IS RECOMMENDED FOR OPEN ELEMENT PRODUCTS SUCH AS KETTLES OR WASHING MACHINES. Dissolve contents in 1 1/2 litres of water, pour it into the water tank and open the steam pipe knob to extract water through steam pipe by pressing the COFFEE button. Collect about half a cup of water through the steam pipe. Switch off the machine for 10 minutes and repeat the procedure once more. Again, switch off the machine for a further 8-10 minutes. Now switch on the machine and this time run the water through the brew head by pressing the COFFEE button. This time do not open the steam wand. This allows the water to come through the brewhead, similar to dispensing coffee.